Quality stereo speaker system connects to your digital music player or smartphone. See-through cover helps you easily identify selection and function of your music player. Power via AC wall plug transformer or four D-cell batteries (batteries not included). MegaMouth™ design for easy access to main compartment has internal metal frame to help keep it open. 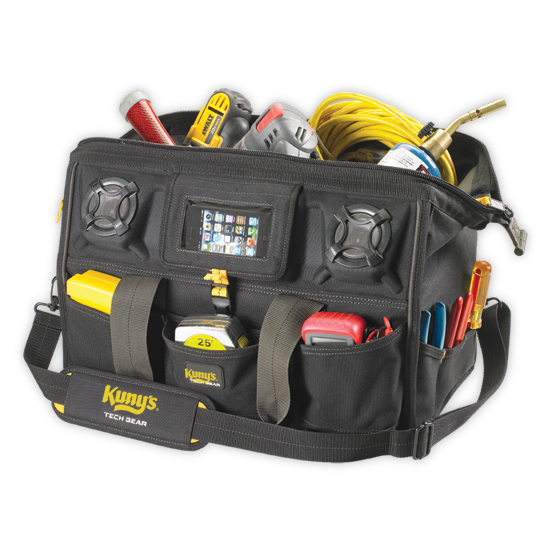 18 multi-use pockets inside and 21 outside allow for storage of your favorite tools, parts and accessories. 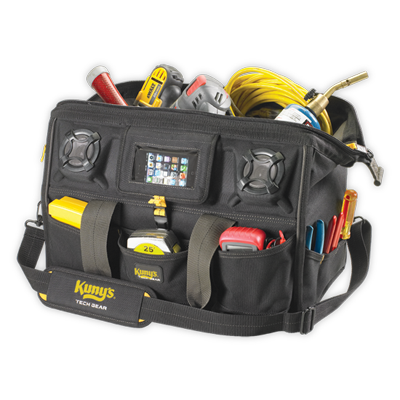 Integrated cover helps keep audio components safe from dirt and debris. 18"L x 8.5"W x 11.5"H.